Squash House Quilts: Christmas in January! Gorgeous! You won't want to leave your bedroom next Christmas it'll be so pretty and cozy. Looking forward to seeing your matching pillowcases. I'm thrilled to hear about your Barefoot class. What a perfect quilt for Christmas. You'll want to take it out of the guest room and have where you can look at it all the time. Choosing thread color is always a bit dicey. It looks like you hit the nail on the head with your selection. 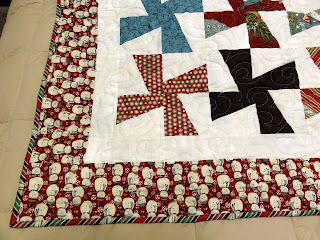 What a beautiful Christmas quilt ! I love your choice of quilting thread ! PERFECT! Another awesome finish! Very nice and you are way ahead of the game for next Christmas. Candace this is one FUN quilt!!! I haven't heard of that book before...I wished the link would have shown more inside photos. 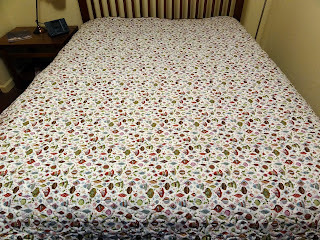 Love your Fruitcake quilt ... the quilting is lovely. Define schmutz, please! Tee hee. Another beautiful finish, Candace. 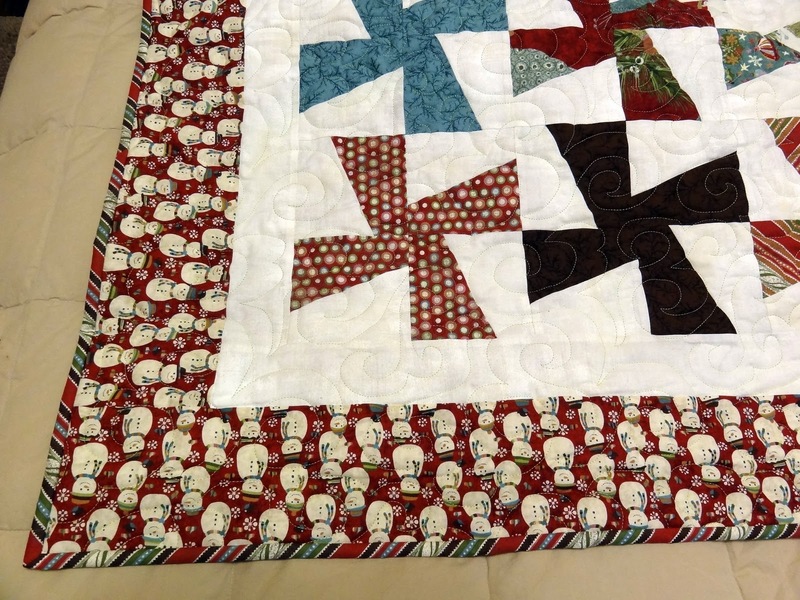 That's one thing I don't have...a Christmas quilt. I must fix that for next Christmas. Love the pinwheels! Congrats on teaching a class--how fun. I just ordered the Barefoot in the Park pattern yesterday--along with String Beans! That's very cute! I think the thread color is perfect, too. 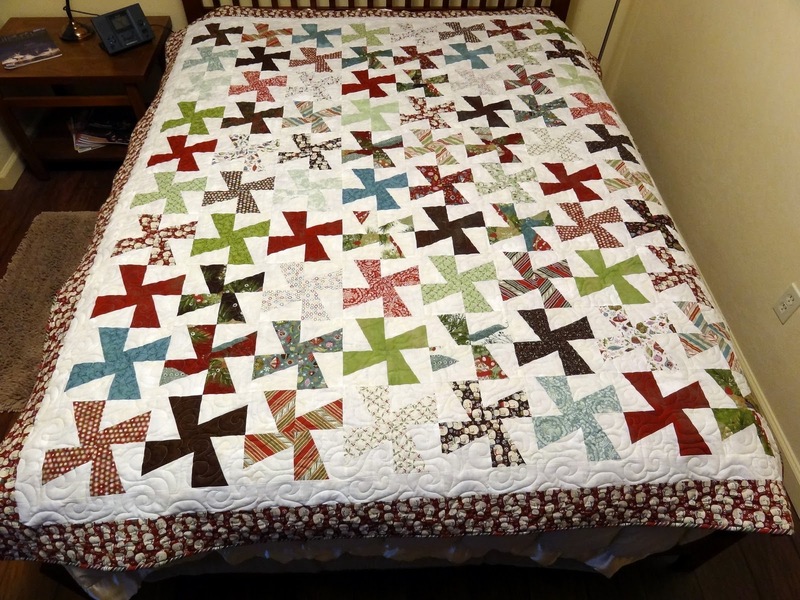 Gorgeous quilt and quilting. Congrats on your finish. Glad you enjoyed your classes. Take your camera and show us what fabrics the ladies used. Please! 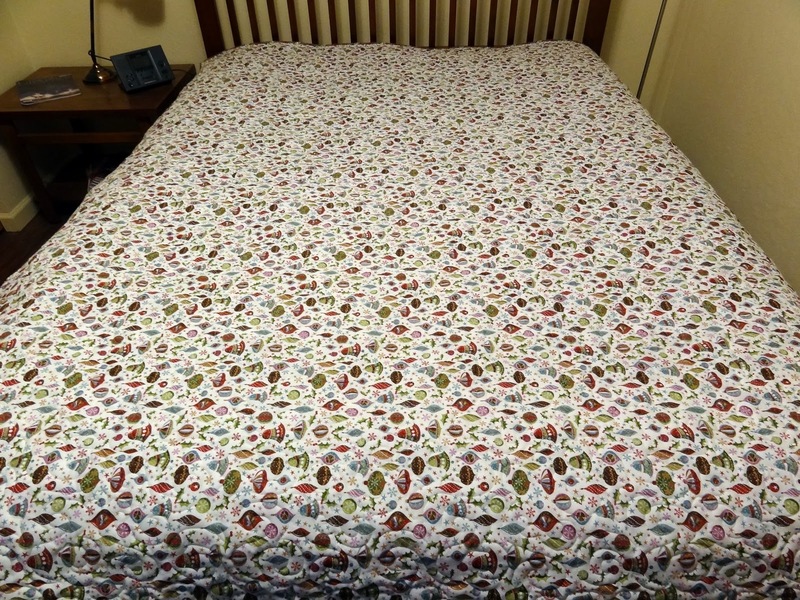 Oh, Candace, Your quilt is gorgeous!!!! I love how the green Isacord looks!!!! Perfect thread for your gorgeous quilt!! What a beautiful quilt. 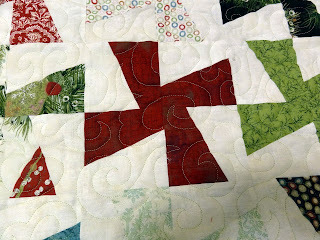 Your quilting is beautiful also. Great Job!